My favorite place to be is in the kitchen! I enjoy baking and cooking so much that many years ago I created a food blog, Points in My Life. The blog provides readers looking for something new and exciting with healthy, delicious, and easy-to-prepare recipes. I discovered that even people who don’t like to cook enjoy using my blog as a guide. I feature many recipes that use just a few ingredients and take simple steps to help keep you from feeling overwhelmed in the kitchen. I love to bake and create special sweet treats for holidays and special occasions. 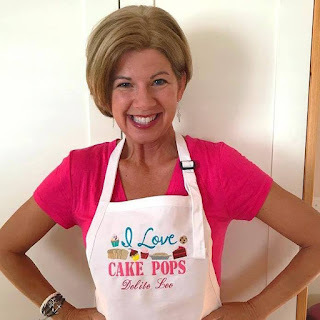 It gives me the chance to design custom baked goods like my very popular cake pops! These desserts became so popular that I founded my company, Delite Lee, a licensed business with delighted customers across the United States.